Martine is an experienced executive within non-profit and international policy sectors, providing high-level expertise in public policy development, formulation and promotion both in Australia and internationally. Martine joined the Committee in March 2016, after serving as Chief Executive Officer of the Australia China Business Council (ACBC), where she led the development of the organisation’s national strategy. Prior to her role at the ACBC, Martine was Deputy Director of the Lowy Institute for International Policy, where she led the organisation’s business and organisational development. As Secretary-General of the Australian Red Cross (ARC) from 2001-2004, based at its national headquarters in Melbourne, she worked on a national transformation strategy to help the ARC improve its delivery of community and relief services across Australia and globally. Martine was a senior Australian diplomat for 17 years and an advisor to Foreign Minister Evans from 1992 to 1994. She served on the Australian National University Council from 2004-2014 and is a member of the Australian Volunteers International board. Martine speaks French, German and Spanish. I am the product of a European migrant and a boy from the bush. My father was born in a very small place called Donald, in the Wimmera in Victoria. My mother was born in The Hague – half Polish and half Dutch - and she emigrated to Australia with her parents in 1950. My father was always interested in the outside world and he came to Melbourne to study modern language. So, when the European met the boy from the bush who was interested in Europe, that was an indication to her that there were Australians who were interested in the rest of the world. That was a feeling that marked my life over the years. My father became a diplomat – a trade commissioner – and I’d been really inspired and energised by the trips that we did when I was small. I was born in Rome. We had postings in Hamburg, Bonn, and Stockholm. So, right from the start, I was committed to Australia’s engagement with the rest of the world and also really enjoyed the stimulation from constant change. That, plus the notion of public service (I’ve always been dedicated to the notion of public service), marked the career trajectory that I’ve had since I joined the Department of Foreign Affairs and Trade (DFAT) in 1983. Now, it is predicted that young people will go through 17 career changes, I don’t plan on that many, but I have had half a dozen, so that may make me slightly atypical. The focus always has been public service and Australia’s engagement with the rest of the world. We can’t survive without it. This was always our destiny; especially in times when people want to draw up the drawbridge because they are worried about the outside world, it’s worth remembering that our very wealth - not only what we sell, but the amazing wealth of people that have come from other countries to create our very successful community and economy – is a source of our well-being, of our wealth, of our happiness and it will be so for the foreseeable future. Our prosperity, wealth, and happiness depend on our international engagement. But, we have the immense privilege of having the oldest continuing culture in the world here in Australia. Also, people who’ve come from countries with incredibly rich traditions – particularly from Europe, because that’s been the major source of our migration, but, more recently from our own region, from the Asia Pacific. You can’t underestimate the importance to the health of this society and to our future that is sourced from our multi-culture, multi-disciplinary background. In the grand age of disruption, our traditional economy (which has served us very well particularly in the export sector and the manufacturing economy), for the future, the source of our wealth will be in innovation and collaboration and in garnering ideas from as many different sources as possible. That’s why it continues to be so important to educate, not only the best and the brightest here but to bring the best and the brightest from overseas to help work with us. We are a small population, we are only 24 million scattered across the worlds’ fifth largest country (which is an island continent) and we’re not going to get there if we don’t continue to encourage people to come here. To work with us. To make sure that our future can look as good and as prosperous as it has in the last 50-odd years. I get a lot of energy when I talk about collaboration. If you’ve ever done the Myers-Briggs test (you’ll know), you get tested for whether you’re an extrovert, an introvert, an extroverted introvert or an introverted extrovert. For me, what I have found the most productive (thing to do) over the years starting at university, what I got the greatest value and inspiration out of – were the tutorials. That was because we got to kick around and debate – sometimes in a really animated way – some of the big issues of the readings that we were given. And, I got a lot of my ideas and my energy out of hearing from others and other perspectives. Sometimes, it would completely transform my understanding of what I thought to be true or the case. I found it fundamental, right from the university days to helping me be a really effective collaborator and leader. We know now that much of the future economy is going to be co-created. It’s already happening now, particularly when it comes to the so-called innovation agenda and being agile and trying to always be ahead of the curve. The other thing I might add is, when you’re looking at the concerns that we might have - such as artificial intelligence is going to take over 40% of the current jobs (that’s across the board, not just blue-collar jobs; a lot of it now is in white-collar jobs like medicine, diagnostic tools, and that sort of thing) – the one skill that continues to be put forward as absolutely essential for jobs of the future for young people is the ability to analyse, empathise, and share. So, the so-called useless humanities education is, in some ways, more important than ever because it actually helps us think carefully about and debate what drives humans. What drives what we do, what we want, what makes us tick, and how do we understand and put ourselves in somebody else’s shoes. Those are the kind of soft skills that many, many organisations that are doing serious research on this, consistently say are required. So, it’s what you learn and how you learn that is more important than ever. I’m talking about critical thinking. They call it ‘soft’, but really, it’s a misnomer. It’s your ability to analyse and think critically about a problem. You can do that through studying some of the ancient texts or looking at the history of philosophy. In some cases, when you’re reading the old texts, you know for a fact that some of their assumptions have been overtaken by events or technology, but the critical approach to understanding what is the nub of this problem and how might we resolve it -that is something that has been required through the ages and will be required into the future. One of the ways you do that is through dialogue. Understanding or turning a problem around or clarifying something. It has always been more productive through dialogue. That’s not just two people, it can sometimes be a broader context. It’s about being able to analyse, to think critically and to pull a problem apart and back together again to find the best solution. Firstly, you’ve constantly got to be prepared to continue learning. Secondly, you must always be very happy with surrounding yourself with people whom you know or think are smarter than yourself. You don’t want to be the smartest person in the room. You want to be sure that those around you are smarter, better, more alert or more knowledgeable. That, I think, is a great success. You have to be a good listener. We talked about dialogue but that means that you also have to receive as well as transmit. Those that are more transmitters than receivers might look like they are good leaders, but they kind of run out of puff. A sustainable leadership style is one that takes as well as gives. It’s also really, really important to encourage people to take risk. It’s become almost a cliché that we live in a fairly risk-averse culture, contrary to the great centre of innovation which, I think, the world leader is still deemed to be the United States – particularly Silicon Valley. But, a great strength of an innovative culture is, not to be rewarded for failure, but not to be penalised for failure or told, “You can’t fail”. Within reason, I think that’s something that I always encourage leaders to do. You know, get your people to take a few risks. Show that you, too, are prepared to take a few risks outside your comfort zone from time to time. I guess, the themes that have underpinned everything that I’ve done in my professional life have been, a very strong sense of the importance of public service, and being connected globally, being connected to the world. And, that’s partly due to the environment in which I was born (so, I can’t pretend that I discovered this in some “Ah ha moment”). It’s kind of been the nature of my education. But, I was originally inspired by my father who, as I said, came from this country town in Victoria. Who came away to school in Victoria and whose world was opened by studying foreign languages and being interested in engaging with the rest of the world. He managed to combine it by being utterly committed the welfare of rural Australia – through getting involved in commodity negotiations as a trade commissioner and working in primary industries – but also somebody who appreciated the value of foreign cultures and how they can enrich our own society. I guess that was my first inspiration. Having joined DFAT (Department of Foreign Affairs and Trade), I also found communicating to the outside world something that I really enjoyed, to the things that you are engaged in now. My first really exciting venture into that domain was to run a small community radio program at the Australian National University, which was my first contact with leading Australian journalists – including people who are still writing today like Paul Kelly, Mungo MacCallum, and Michelle Grattan. These are people whom I interviewed at that time, who were still up-and-coming reporters. (I was) understanding and getting interested in contemporary politics. Not only what was happening in Canberra, but what was happening in the rest of the world through my own studies (particularly German and French), and also in arts and culture because I was in an arts and culture program. Those were my formational years, so DFAT seemed to be the perfect fit. I was very lucky to be involved, in the first eight years of my (working) life, in what I consider to be one of the great important issues of the day – which has come back now and is very alive in the stand-off with North Korea and also the Iranian nuclear issue – which was arms control and disarmament. You might recall that the 80’s was the height of the Cold War. There was a great deal of concern globally about the threat of mutually-assured destruction and the new Hawke Labor Government decided that it wanted to become much more involved in Australia contributing to the multi-national dialogue on that. It also helped underpin our uranium sales, to ensure they didn’t get diverted for the wrong purposes. So, I was very heavily involved in that through postings in Geneva - and those were multi-national postings - so, again, lots of round table discussion, lots of resilience and patience because there were lots of different national positions that had to be reconciled. Also, it was just a really good thing to be involved with. My peak, at that period, was my involvement in the negotiations of the Chemical Weapons Convention. It was a great alignment where the Australian Government was extremely supportive, and we also were at a period where the major powers were in agreement that they didn’t need chemical weapons any more. Australia got the role of brokering the negotiations and developing a clean text, and that then became the last major treaty that eliminated an entire class of weapons. So, that was a very, very exciting period and I thought to myself, “Gee, it doesn’t get much better than this”. I spent a bit of time also working in a ministerial office and then, finally, a role in Argentina as ambassador. But, before then, I’d already started thinking that there must be a world outside the foreign service. I really enjoyed working in government, but I was also keen to see whether those skills were transferrable into another environment. The Australian Red Cross job, which came up after that, ticked a number of boxes for me. It was very much about a humanitarian agenda and public service and community service, but also with a very strong international template. It is one of the longest, if not the longest, humanitarian organisations that has continuously existed (since the 1860’s) - the International Red Cross and Red Crescent movement. The original Red Cross was created in 1864 after the battle of Solferino, then national societies were created after that. The Australian national society began just after the outbreak of the First World War, so it is one of Australia’s oldest humanitarian organisations. That was a very big responsibility because one of the quirks of the Australian landscape is we are a federation. Trying to inculcate the idea that we were part of one big movement that needed to pull together and pool its resources rather than 8 states and territories going off and doing their own thing, that was the big challenge for me. My predecessor had already implemented some very important reforms in the blood service – which had gone through some problems because of different methods of testing for blood-borne diseases which led to some rather tragic cases of transmission of Hep C and the AIDS virus. So, he’d looked after the blood service and I then looked after the humanitarian service and decided that there were some quantities of scale that were desperately needed. That’s when I realised that I was very interested in being a change agent and just kind of doing something concrete, getting something completed, and then handing it over to another person. I was there for 4 years and we got there in the end. It took a lot of patience. My negotiating skills that I’d learnt in the arms control sphere came very useful – although, often you learn these skills and then forget about them because you are so impatient for things to be achieved. We had a couple of cracks at getting it done and it flopped miserably, so we regrouped and started to consult again and to build a consensus around the change. I was really delighted at the end of the 4 years that our council changed our constitution of the Australian Red Cross to make it a more efficient and more effective organisation that could better deliver community services. I was very fortunate, then, to be offered a role sort of a little bit back in my old foreign policy field, which was to be part of the new, re-established Lowy Institute for International Policy, where I was the deputy director responsible for business and organisational development. Again, taking something and building something new with it. That was a completely different role to the extent that it was no longer really policy. It wasn’t really implementing programs either, but it was more building the capacity of the organisation from within so that it could invest in really good material. There was also a very strong notion of public service there, too. It was about connecting Australia to the rest of the world and helping Australians understand how important that international engagement was. That was the Lowy Institute, so that was position number 4, although, in DFAT you do change every 3 or 4 years. You go from post to post. You’re constantly learning new skills. You’re trying to adapt to a different environment. There were a lot of changes in the 17 years in the DFAT as well. Then, the next organisation was one that was, again, federated, and I don’t mind admitting that that was very challenging because I didn’t know anything about China. That was a big risk. But, they wanted me there because they’d seen what I’d done with the Red Cross. I was based at the national office in Sydney, but that has now moved to Melbourne. It was, again, about bringing the various states and territories together to work collectively. It became clear to me within about a year that they weren’t really ready for it. It was then a question of effecting an elegant exit by mutual agreement because the organisation was much happier operating the way it had up to now. It continues to do great work, but it was just a very different model to what I was led to expect. It’s very interesting that you do sometimes need to be aware that what people tell you they want to achieve may not necessarily be what they end up backing you for. Or, they may be looking to you to force an agreement that they can’t reach among themselves. So, lesson number – whatever it is now. 4? 5? Do your homework! Don’t take something on until you are sure that you have a very clear brief to proceed and that you have the required backing. And, if you don’t, get out as quickly as possible. The second thing was, that, yes, Red Cross was travelling relatively well, but membership was dropping off. A lot of the Red Cross backbone were volunteer women who used to meet in the afternoons and who would organise all their activities at a time when demographics had changed completely. A lot of young women would have loved to be involved, but they couldn’t because they were working, so the organisation hadn’t quite kept pace with the demographic changes and the way that Australian demography was altering. So, it was the right time to say, “How can we do this more effectively?”, without losing that important community engagement that is the strength and the lifeblood of the organisation. For that, you needed to pool your resources. It was no longer justifiable to have eight marketing and communications departments when you could have one that was arranging the basic messaging from one place and then devolving it to the rest. I think sometimes, a burning platform is a good way to start. If you’re losing money or you’re not getting new members, or you can see your tracking is slipping, it’s time to reflect, regroup, and to reformulate. It was the right the right time for that organisation to do that. And the, of course, it took a decade or more to affect cultural change. One of the other things I’ve learnt is that you can come in, you can make a change, you can change your constitution, but then, the work really starts. Consolidation - actually affecting the culture change that’s required for people to whole-heartedly embrace what you’re doing - is a very large and difficult enterprise. I’ll give you another example from my Foreign Affairs days. When I joined, it was just the Department of Foreign Affairs, then, in 1986, the Departments of Trade and Foreign Affairs were merged. We sort of spun out the Trade Commissioner’s service and the policy part of trade became part of DFAT. To this day, that union is still not complete. That was in 1986 – 30 years ago! Because, the trade people think they see the world from a particular perspective despite the best efforts of ministers – people like Julie Bishop, who talks about economic diplomacy. The Foreign Affairs side was always very keen to learn and do new things, but to this day, I think it’s a challenge. The AusAid that’s now been incorporated into DFAT (which is more recent), I think that transition is going to be more successful and happen more quickly than the one with the Department of Trade. That’s the other thing you learn. Just because you’ve changed the rules, it doesn’t mean that people are going to whole-heartedly embrace them. And, they’ll try and get around them until such time as you’ve well and truly embedded the new way. Now, I’m at the Committee for Melbourne. At ACBC (Australia China Business Council), I had one and a half people working with me. So, I started my working life in an organisation with HR and IT support and a bureaucracy providing a platform of support – that I didn’t fully appreciate until I didn’t have it any more. Then, going to Australian Red Cross, which still had a pretty big group of strong financial support (IT, HR, et cetera), through to the Lowy Institute, which was kind of building the organisation from nothing. And, then to the ACBC, where I was practically a lone agent, into the Committee for Melbourne – which is still very small, but we have several full-time staff. But, what I’ve also discovered is I get my biggest kick from working with a young team and really committed, eager people who really want to make a difference. Who are here, not because it’s going to earn them a heap of money, but because they just love the mission and they love the challenge of doing really great things for the city, and the heritage of the Committee for Melbourne – which was always dedicated to building a better future for Melbourne and to Melbourne’s progress. You already have people who are committed, hard-working, and who really want to make a difference through the profile of the organisation, but, often people ask me, “What’s it like working for the Committee for Melbourne compared to your initial career in Foreign Affairs?” And, I say, “It’s a little bit like being the head of mission in a medium-sized posting”. Because, cities – being the kind of engine of the economy and where everything’s at – are increasingly like countries. So, Greater Melbourne, with it’s almost 5 million population, is like a small country. It’s the size of Denmark when you think about it. New Zealand is 3.5 million, Finland is around 3 million. These are all successful countries in their own right that are continuing to progress. So, to me, it’s like being the head of a small to medium-sized post, where – just like when I was ambassador in Buenos Aires, I needed to be articulate and credible in covering Australian interests across the full range of government departments - the education sector, the innovation sector, transport, numerous Australian companies, the mining sector, workers insurance, cinemas, a cross-section of Australian business, a cross-section of the Australian enterprise, and a cross-section of Australian policy interests (particularly in the trade and agricultural agenda). You were the first line and first-contact in explaining your government’s position and transmitting the position of your host government. So, you really had to be across a lot. Very agile, very versatile, and able to respond quickly. You had big delegations coming to visit and a small team of three or four people. So, in some ways, this Committee for Melbourne role is not dissimilar to the role that I had. It doesn’t feel unfamiliar or uncomfortable. It feels deeply familiar to what I was doing in Foreign Affairs. Does the fact that cities like Sydney and Melbourne get listed as some of the expensive cities in the world affect what we do? Yes, of course. One of my colleagues says, “Name me one successful city that doesn’t have a housing affordability crisis?” I think that it is a little bit in the nature of cities – particularly large cities, where much of the work is located in the CBD and real estate is at an absolute premium – that you don’t have a phenomenon where it’s becoming harder and harder to live sustainably without going further and further out. Superimpose on that, the fact that housing ownership has been part of Australia’s DNA since the middle of last century and, yes, it’s challenging! What do you do about it? Well, first of all, one of the things that the Committee for Melbourne launched last year was our ‘Melbourne 4.0’ project, in recognition of the fact that we are about to be massively disrupted by technology and by the fact there is increasingly going to be a conglomeration of people working together to try and deal with these issues. But in this new economy, the special divide, the social divide is deepening. A lot of people are being left out of the new economy because they don’t have the skills, they can’t afford to live within the inner ring of inner Melbourne – the CBD and a bit beyond, so they live further out. Their means of coming to work are not matched by adequate transport infrastructure. So, there are some pretty creaky bits that really need some urgent attention. But above all, that which is hurting us can also be used to help us. So, we’ll need to understand what are the smart solutions to some of these intractable problems. And, widening roads and building roads are not going to be – the solutions of yesterday are only partially going to help us with the challenges of tomorrow. When we tried to get people’s attention about how important it was for Melbourne to understand that, even though it had been voted the ‘World’s most liveable city’ five, then six, now seven times in a row, that wasn’t an emerging, burning platform that we needed to prepare for. For the Committee for Melbourne, one of the value propositions that we put forward, that we earnestly believe in, is that we are not partisan. We never were. We’ve always been driven by a sense of importance, of making a contribution to Melbourne’s progress without, in any way, identifying ourselves with one side of politics or the other. And, apart from that, if you are an organisation that is trying to think about Melbourne’s future, you can’t get caught up in the electoral cycle because that acts as an immediate break on so many things (as we know). It’s not just the politician’s fault – a lot of people like to blame the politicians – but it is in the nature of our political system that a lot of these projects do get constrained by shorter political circumstances. That’s where we say, we can provide an environment where some of these trickier issues can be discussed in a Chatham House setting, in a cross-sectoral way. So, we’ve got members from business, we’ve got 6 of the 8 major universities, we’ve got a lot of fabulously creative organisations that also help resolve trigger problems in the arts and culture, and we also have some community organisations that deal with the consequences of success, like housing affordability crises, social problems, homelessness, et cetera. How do we bring some of them together with some of the people that are guiding some of the big, civic decisions that will shape the future of this city? That’s where we think the Committee for Melbourne has and can continue to add value. Think about some of the big ideas that have come out of the Committee for Melbourne. The Docklands project was inspired by the urban regeneration in London and it was the London Dockland architect that came out here and was brought out by the Committee for Melbourne. Even if some people may have been a bit critical about how Docklands was implemented here, when you look at the way it’s started shaping now, you can see that it’s organically growing into something pretty fabulous and, increasingly, people want to live and work down there. Now, there’s a library and there’s going to be a school. You learn along the way about how to do something and how not to do something. Some of the other major projects that we put forward were: the internationalisation and privatisation of Melbourne Airport (that was all about realising the vision that Melbourne could continue to be a city of international significance), the creation of the Bio-Melbourne network (which is the area of bio-technology, bio-medicine research, advance manufacturing – which are the great industries of the future for Australia, and Melbourne, and that whole Parkville precinct, is a great source of strength now and in the future (research, cancer, et cetera). One of the other things that we also created, which is a wonderful institution (which would be also of interest to people in your program) is the Future Focus Group – a civic and business leadership program which is turning 21 this year. The basic premise was, you bring young, emerging leaders from different disciplines and from different businesses together and, not only do you help build networks and relationships that will be enduring, but, though that cross-section of ideas, you come up with some fabulous projects and ideas – exactly the thing that we started this whole interview with about how important it is to collaborate and to co-create things. That not only enriches your professional experience, but also produces some fabulous ideas such as Open House Melbourne, the international student welcoming desk, and the free tram zone. And, most recently, our absolutely sensational little project called Melbourne’s BackYard – where we invited emerging designers and architects to contribute to a design competition for making the Melbourne Metro building sites a place of attraction rather than a place of revulsion. The winning entry designed this fabulous structure that’s going to go over the Melbourne Metro building site in City Square, with a basketball court. And, the architects even had the foresight to think about what happens to the structure when the project is finished. They showed images of where they would put it at Docklands when the Melbourne Metro project was completed. This is where the magic happens and that was also a fantastic Committee for Melbourne invention – which is one of the sources of it’s greatest strengths. Not necessarily huge, Docklands-style ideas, but the little things that continue to make Melbourne a very special place. Whenever I get a change, I go to those Future Focus Group meetings and see them creating. They have to pitch the idea, then it’s reviewed, and they have to find collaborating partners, exit partners, funders – they have to try and bring the thing from the cradle, right though to fruition. In some cases, they’ve succeeded, others have been flops but never mind. It was a learning experience and again, a safe environment. There are worse places to fail than in that kind of an environment. This is going to sound really, really prosaic, but the best advice that I’ve received – particularly at times when I’ve been really anxious about something – has been, “Just be yourself. Don’t try and pretend to be something that you’re not.” So, that goes to authenticity. People will always know, smell very quickly, that you’re being inauthentic. The other advice, which is the Hippocratic Oath, “Above all – do no harm”. I think that applies across the board to just about any endeavour. Sometimes people are very determined to do something which can be immensely damaging and really shouldn’t be pursued because it has too many casualties. Another piece of advice, that somebody gave me, was, “Don’t forget to listen. Don’t be a transmitter, be a receiver.” That’s been something, in various ways of telling it, that’s always been important. The quotation I like, because it stands on its own, is also very much linked to (an idea) that I’ve always been interested in (which is, “How do communities and societies deal with change?”). It comes from what was voted by The Observer as one of the 10 best historical novels ever called, ‘The Leopard’. A very famous film was made of ‘The Leopard’ with Burt Lancaster and a very young Alain Delon. It’s an Italian classic set in Sicily in the mid-19th Century, at the time of the revolution and civil war when Garibaldi united Italy. It was about the demise of the old Sicilian monarchy and the birth of the new Italian Republic. And, the advice that was given was, “If we want things to stay as they are, things will have to change”. It’s an enigmatic quote, but, how I interpret it is, “If you don’t want to fall backwards. If you don’t want to be left behind. If you want the good things to continue, even if they look different, you have to be prepared to change”. Everything is in constant motion. What I love about the context of that quotation is that you don’t throw everything out from the past. It’s really Hegelian – thesis, antithesis, synthesis – where you will always be taking something with you from the past that’s enriching and important. But, it doesn’t mean that you mustn’t be right ahead of the curve in terms of understanding what is the new and how you adapt it to achieve the best results. There are a couple, in addition to ‘The Leopard’. When I think about my reading, I’ve always found it – and that could be to do with the fact that my family and a lot of older people always said - “You’ve got to read the classics like Dickens and Balzac and Victor Hugo”. What they all had in common was that they were massive, historical novels that sort to capture the temper of the times, but also, societies in transition. And, the negatives sides. Dickens was about industrialising England and all the terrible things that happened. But, out of that, of course, came modern technology. A lot of people left England and there were the big migrations to the New World. There’s a classic example of how things morphed into something new. I think that was partly why I was very interested in those kinds of books. My favourites - in part, also informed by the fact that my major at university was German language and literature – were some very interesting books. 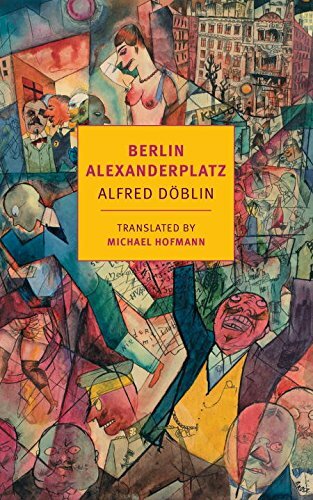 There is ‘Berlin Alexanderplats’ – which most Australians would know from a very famous series made by the famous German director, Rainer Werner Fassbinder, about Berlin as a newer urban metropolis in the 20’s and a society in deep transition there, and what then presaged the tensions that led to the Second World War, so between the wars. It was a bit of a warning about what was coming because of the stresses and strains that society was undergoing. Tomas Mann was a great German novelist, and the ‘Budddenbrooks’ book, is the chronicle of a very rich merchant family in one of the Hanseaten cities and how they dealt with modernity and the new generation going forward. You know, the decadence of a declining family, but the emergence of a new society out of that. Then, moving forward to a more contemporary world – if you look at the novels of Jonathan Franzen - ‘The Corrections’, and ‘Freedom’ – these are also big, chronicles of interlocking families and characters. People in contemporary America who are dealing with the kind of evolution of a changing society and things like climate change, and industrialisation, and the break-up of families, and the pressure of contemporary life, told though the eyes of different characters who all seem to be completely separate at the beginning and then somehow all come together at the end. So, these great, epic novels about contemporary challenges faced by dealing with the old and the new. Those of the kinds of books that I’ve always found really interesting. They make history come alive without being dry history or just a story. These books about change and the impact on societies are not only a passionate read, they also reflect what I’m doing. I’m almost in my dream job. Melbourne is such a wonderful place and we must never become complacent because we’ve got a jewel here, we’ve got a treasure, and we must never take it for granted. We’ve just appointed a Director of Engagement, Clive Dwyer, who is very keen to connect with interested Melbournians. We are particularly interested in also getting young people involved in the start-up community to work with us. Getting them around a table and talking about what their ideas are for the work that they’re doing. Getting connections between our more established organisations that might have some money to invest with some of the younger organisations that are looking for a buddy. Anything that you want to do that contributes to Melbourne – either its business or its very vibrant arts and culture scene, or its community – come to us and talk to us. We’re more than happy to hear from you.